Exhaust Stack Ventilation Covers – FCM Products Inc. This is a clawfoot-style rain cap that was constructed in January 2009 for a foam rubber manufacturing facility in Magnolia, Arkansas. 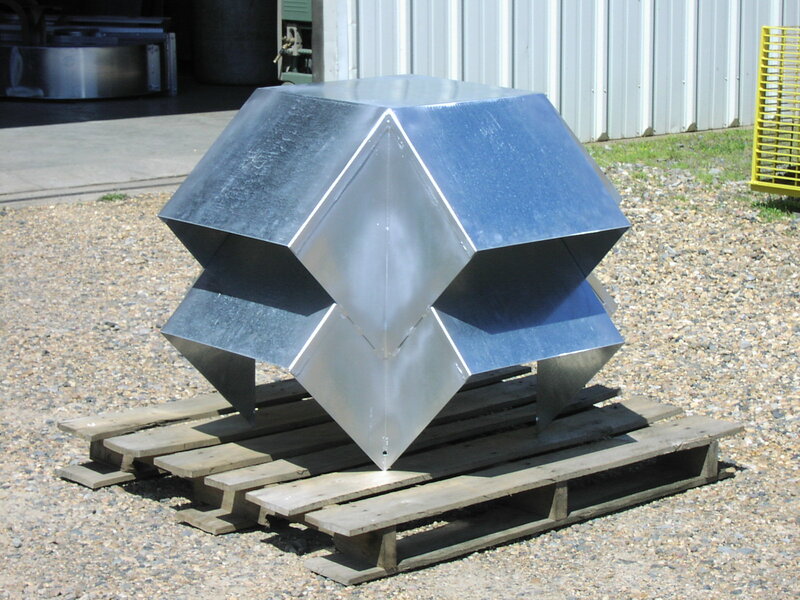 This unit is made of 16-gauge galvanized steel and measures 4′ x 3′ x 3′.